Every week in the mainstream media there is a new episode in the saga surrounding the assassination of Oakland Post Editor Chauncey Bailey, which took place Aug. 2 in downtown Oakland. Hours after his murder, the police made the heavily publicized arrest of 19 suspects from Your Black Muslim Bakery. They broke bakery windows, posted a machine gun-toting SWAT team on the bakery roof and blocked off traffic well into the afternoon even though the raid went down before sunrise. In this interview, we’re talking to Paul Cobb, publisher of the Oakland Post newspaper, and the Post’s attorney, Walter Riley, in an exclusive interview about the current status of the Post and the investigation surrounding the murder of editor Chauncey Bailey. MOI JR: Paul, can you talk about when you bought the Oakland Post newspaper? And what does it mean to you? Paul: I bought the Post News Group on Dec. 7, 2004. The Post represents a culmination of the beginning of my journalistic career. My first journalist job was with the Oakland Post in 1965 and the latter part of ‘64. One of my earliest assignments was to go to Selma to represent the Post on the march from Selma to Montgomery. And that was 42 years ago. The Post is 44 years old. And I have worked with the Post on and off throughout the years as a columnist, as a religion editor and as a writer, so I’ve always wanted to buy the Post. And when the opportunity presented itself, I made an offer and they accepted. MOI JR: What is community journalism, which is what the Post engages in? Paul: We, now that I have bought the Post, do not utilize news or wire services. We pride ourselves on generating as much local content as possible. We try to sensationalize the good deeds, the unheard success stories, the individual personal triumphs and the needs of community-based groups that don’t normally float up to the attention of the more established media. And we have a special emphasis on trying to provide constructive alternatives and success models and suggestions of ways that those in the African-American community can improve their community, or improve their individual lot, whether it is on the health page or an education story or a call to action, or whether it is a petition to draft someone like Ron Dellums for mayor. We try to have an action-oriented content package. 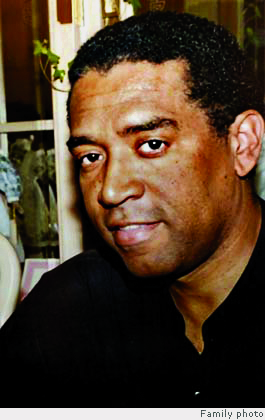 MOI JR: In August of 2007, the editor of the Oakland Post, Chauncey Bailey, was murdered in cold blood on 14th and Alice. Can you speak about the events that day? Paul: At the exact moment that Chauncey Bailey was killed, I was also on 14th Street further down and walking towards him. We were scheduled to meet at the office around 7:45 a.m. or so. We had discussed having the meeting the night before. And the night before, he was all excited. He was all dressed up. And I had asked him, where are you going? Are you going to a banquet or something? I mean he was talking and in a wistful kind of mood about how happy he was that he had finally gotten together with his father and that he was really looking forward to all three of the Chauncey Baileys – the 3rd, the 1st and the 2nd – and them being able to work together and be together in his father’s remaining days. And we had talked about him planning to go to Vietnam the week after that. The reason for the meeting that morning would have been to plan some of the content that we would need to organize a week in advance so he could leave to go to Vietnam for 10 days to two weeks. That was the purpose of the scheduled meeting. So when I heard of the commotion down the street and the police called up to the office and told me that they needed to have someone identify someone for next of kin information to release his name to the press, they asked me did I know a Chauncey Bailey. And my response was, “I’m sure he’s there representing us, because that’s normally the way he walks to work. He’s probably there. Yeah, you should ask him.” And the police said that he won’t be covering any more incidents or scenes or killings because he was the one who was laying there at 14th and Alice – at which point I dropped the phone. And I was listening to one of the young interns who had come to work early that day, and she was on the phone either with a friend describing what she had seen because she had been riding on the bus and she saw the gentleman running with the shotgun. And she was telling her friend and I was overhearing her while the police were telling me about Chauncey. Then that’s when it hit me, that this was confirmation that she had witnessed the then-believed killer. At that point, I just dropped the phone and ran for the elevator and went to the scene. And when I got there, I saw a gentleman who had had breakfast with Chauncey, who was the last person who had talked to him besides the killer and who had walked with Chauncey and was an eye-witness to it, and he came to me and was telling me that the police didn’t want to hear his statement and so forth. And at that point I tried to introduce him to the police that were in charge to get his statement, and the officer in charge drove off in a hurried manner and did not listen to him. And already we were all in shock and in profound disbelief and horror. People were crying. There was this bank of cameras. For the first time, I felt on the other end of the intrusiveness of the media. Even though I’m a part of it, I did not want to be a part of it at that time because I was overcome by the news, the sight of him there, the fact that he had been shot in the face and in the chest and so forth. It was just too much. But we tried to collect what semblance of sense we had in that stressful moment, and the Post employees and the associates of the paper we sort of like spontaneously began to fan out, ask bystanders questions and to try to ascertain what was going on and to try to put some pieces together. And we ran across a couple of people who had witnessed it, and we had started taking notes and we tried to relay that information to the police. Stay tuned for Part 2. Email POCC Minister of Information JR at blockreportradio@gmail.com and visit www.blockreportradio.com. The Oakland Post reports that its editor, Chauncey Bailey, slain Aug. 2 in downtown Oakland, has been named Journalist of the Year by the Society of Professional Journalists “for his fierce commitment to investigative journalism in the face of personal danger. “At a time when journalists around the world are under threat for simply doing their jobs, Bailey was a forceful presence in print and on radio and television in the Bay Area for the past 15 years. A tireless advocate for the African-American community, he was assassinated while pursuing a story, and evidence presented thus far shows that he was assassinated because he was pursuing that story,” the Post explains. The award will be made Nov. 8 at the SPJ Excellence in Journalism Awards dinner. Other awards were given to the San Francisco Chronicle, KCBS Radio, the National Radio Project and the San Jose Mercury News. 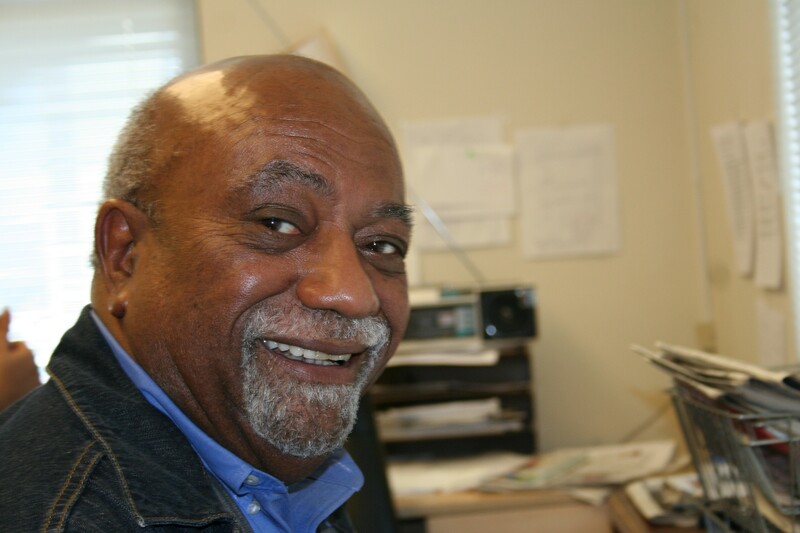 A tribute to slain Post Newspapers Editor Chauncey Bailey will be featured at the Oakland Museum of California’s 14th annual Days of the Dead festivities with a special altar in the exhibition and at the Community Celebration this Sunday, Oct. 21. “Chauncey Bailey challenged himself and others to ‘rise and stand for justice.’ The eight artists contributing to his altar rise collectively in the spirit of community fellowship and remembrances to honor ‘the great communicator,'” said Hershell West, lead artist on the “Honoring the Legacy of Chauncey Bailey” altar, which recreates the spontaneous street altar created at the site of his murder Aug. 2 near 14th and Alice streets. The seven other Black artists who worked with West on the Bailey altar are project assistant Duane Conliffe, Carla Oden, Nannette Harris, Karen Oyekanmi, Sarah Prada, Makeda Rashidi and Shawn Weeden. A limited-edition T-shirt featuring Bailey’s portrait will be available at the Oct. 21 event. All proceeds benefit a memorial fund established for Bailey’s son. The lively annual Days of the Dead Community Celebration, Sunday, Oct. 21, 12-5 p.m., offers a colorful mix of music, a mercado (market), food, performances, a procession, public ofrendas (altars), kids’ activities and costumed revelers in the museum courtyard and gardens. The celebration is free; museum admission is half-price all day. The Oakland Museum is located at 10th and Oak streets, Oakland, (510) 238-2200, www.museumca.org.